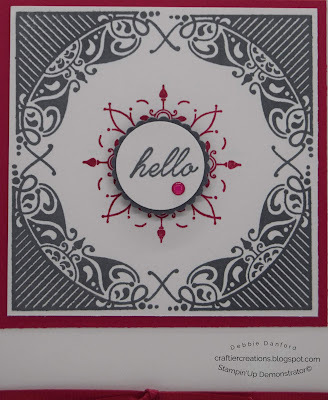 Before I share today's project I wanted to share a chart that Stampin' Up has provided us. This question is asked quite frequently. What ink should I use? To down load the chart click here. I have to say I wasn't quite sure about this set and decided it was time to play with it. 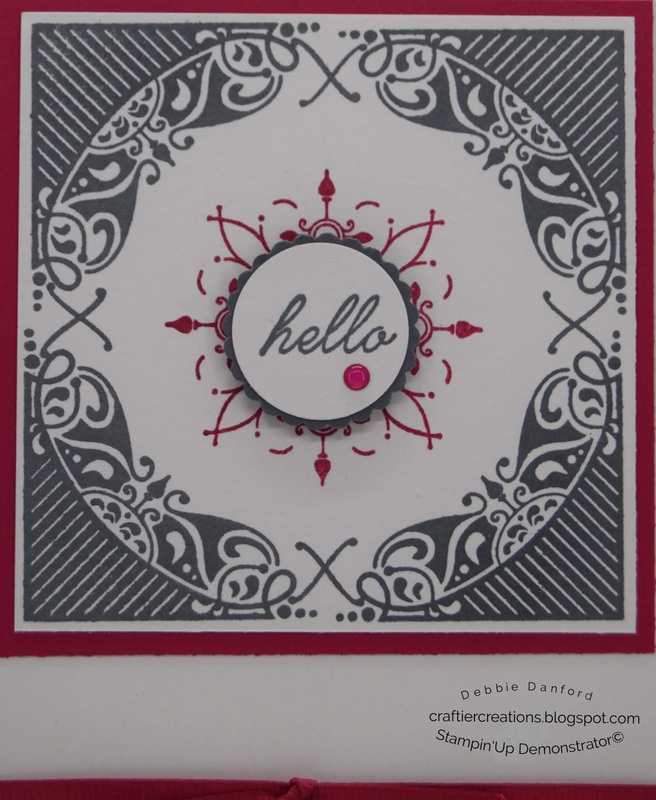 With Lovely Lipstick stamp in the center of the Shimmery White piece. On the 4' x 5 1/4" piece of Shimmery White stamp your phrase and punch it out. Punch the Basic Gray out of a piece of scrap. Attach all layers, and attach circles with dimensionals and add a Lovely Lipstick Enamel Dot.